"President Trump announced the United States’ intent to designate Brazil as a Major Non-NATO Ally", the statement said. US National Security Adviser John Bolton later confirmed Brazil’s designation, and added that the bilateral cooperation will focus on Venezuela, Iran, and China. "We’re proud to make Brazil a Major Non-NATO Ally, and look forward to working with them on Venezuela, Iran, and China", Bolton said in a Twitter message. Earlier in the day, Trump said the United States would look "very strongly" at the possibility of Brazil becoming a NATO member or potentially joining some other alliance. Trump also said he would support Brazil's efforts to join the Organisation for Economic Co-operation and Development (OECD). 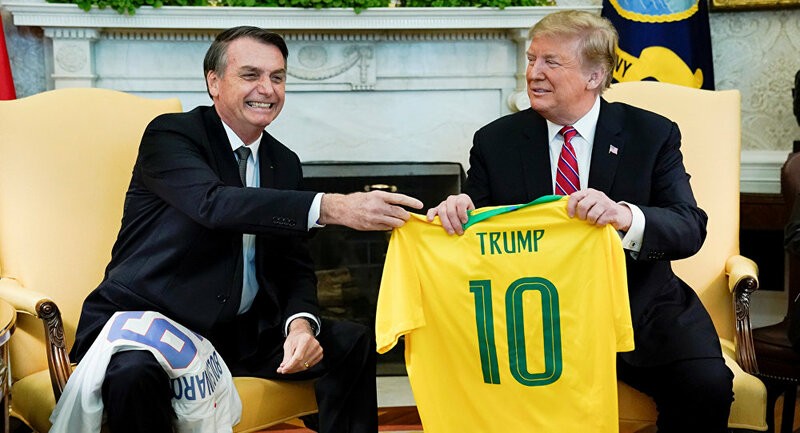 During his official visit to the White House, Bolsonaro discussed a broad range of issues including trade, defence and space cooperation as well as the situation in Venezuela with Trump.